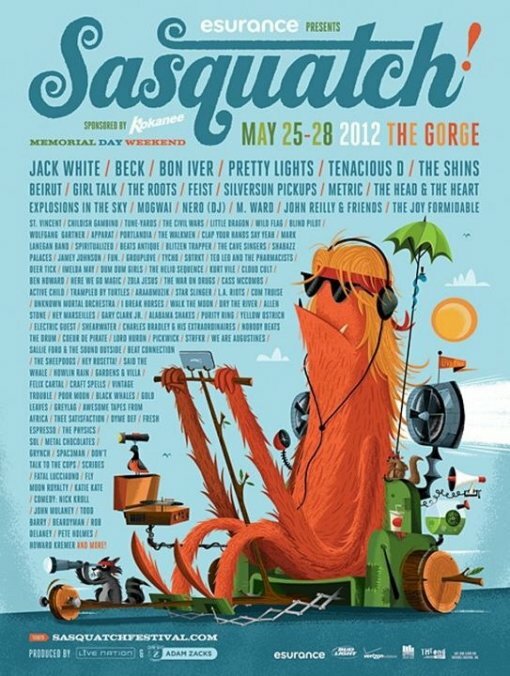 View the full Sasquatch! 2012 lineup in words after the jump. Comedy: Nick Kroll, John Mulaney, Todd Barry, Beardyman, Rob Delaney, Pete Holmes, Howard Kremer, and more!